phpMyAdmin is a open source software that intended to manage and administer MySQL over the Web browsers and it was written in PHP. It is one of the most popular tools for managing the MySQL database and you’ll need to install and configure Apache, PHP, and the PHP MySQL in order to make it run perfectly. 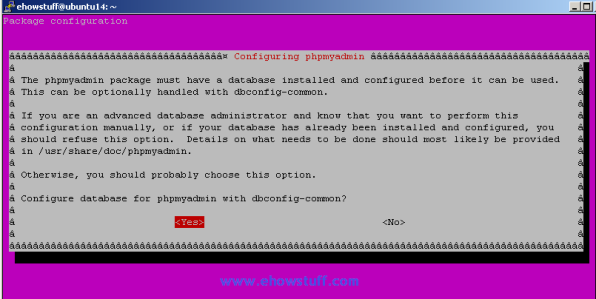 Follow the following steps to install phpMyAdmin on Ubuntu 14.04 virtual private server (VPS)and dedicated server. 1. Assumed that Apache web server and MySQL database server has been prepared. 5. 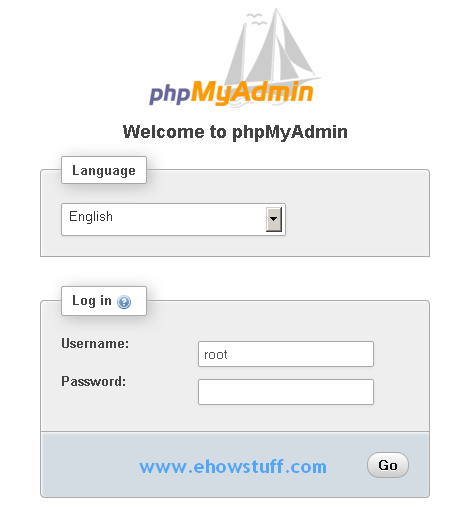 Access to “http://IP_address/phpmyadmin/” and login to MySQL. Linux system is design to makes it hard for viruses to run and that why it is more secure than windows operating system. 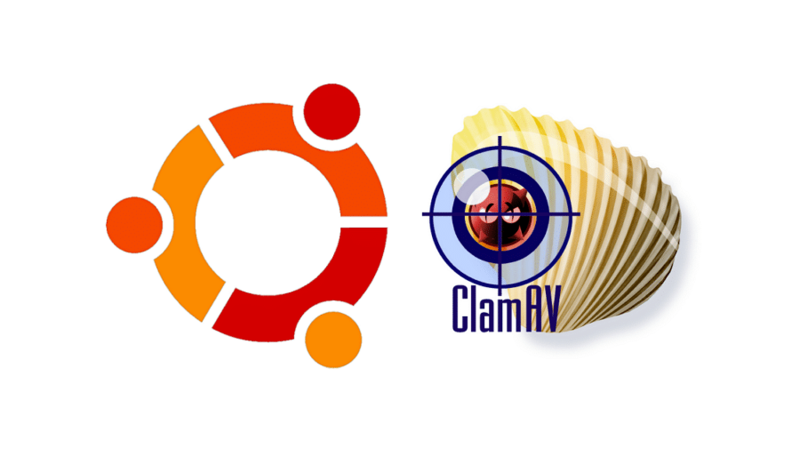 However we still need to install Clam AntiVirus (ClamAV) on linux server to protect it from virus. This because the linux malware and viruses are increasing everyday. ClamAV is free antivirus engine designed for detecting Trojans, viruses, malware and other malicious threats and one of the main uses is on main servers as server-side email virus scanner. ClamAV can be integrate with mail servers to scan the attachment and files. This article will describe on how to install ClamAV on Ubuntu Server 14.04 virtual private server (VPS) or dedicated server. 1. Install clamav and clamav-daemon. Clamav daemon is for automated use. Connecting to www.eicar.org (www.eicar.org)|188.40.238.250|:80... connected. I hope this article gives you some ideas and essential guidance on how to install clamav ubuntu server 14.04 virtual private server (VPS) or dedicated server. By default the sensitive server information such as of Apache version, modules, operating System was not hide from the HTTP Header. This information will be display when there is a request to it. Attackers can use those information when they performing attacks to your VPS webserver. This post will show you how to hide apache details on Ubuntu 14.04 VPS or dedicated server. a) Set the root password ensures that nobody can log into the MySQL root user without the proper authorization. This Will help administrators to monitor critical events and helps in troubleshooting. We’re rolling out a new Lish SSH gateway that simplifies Lish by introducing a single place to access Lish for all of your Linodes, regardless of their host or datacenter. It eliminates the need for per-Linode Lish passwords and SSH keys. Instead, the Lish gateway uses your existing Linode Manager credentials for authentication. You will also notice a new “Lish SSH Keys” field in the My Profile section of the Linode Manager, where you can submit SSH public keys to authenticate yourself to these new Lish gateway boxes. To provide a little background, Lish is the Linode Shell. It provides you with the ability to issue reboot and shutdown jobs, check the status of your Linode, and most importantly, access and interact with the console of your running Linode. Lish is an out-of-band console, which means you can access it even when your Linode’s networking is disabled. Previously, each Linode required its own Lish SSH username, password, and SSH keys. Access to Lish was via a direct SSH connection to your Linode’s host machine. In the coming weeks, we will be completely removing host access from the public Internet, and as such the old Lish access methods will no longer function. Lish-via-SSH into hosts will cease to function on Friday, May 10, 2013 1:00PM EDT. As such, please adjust any scripts or aliases to utilize the new Lish gateway. Then, at the command prompt, you can enter the name of the Linode to which you want to make your Lish connection. In the example shown above, you could enter “linode2345? to access the Lish console for linode2345. Once you’re on a specific Linode, Lish will work like it always has. When you exit linode2345?s Lish, you’ll be taken back to the gateway menu. The Lish gateway boxes are accessible via both IPv4 and IPv6. The Ajax method of connecting to your Linode’s Lish is unaffected by these changes. This is the third and final post in a series about Linode: NextGen. 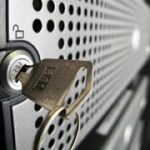 The first post in the series focused on network upgrades and the second post focused on host hardware. 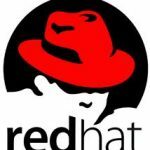 This post announces yet another upgrade, and discusses the upgrade procedure and availability. We’re doubling the RAM on all of our plans. This upgrade is available to existing and new customers. New Linodes will automatically be created with the new resources. Existing Linodes will need to go through the Upgrade Queue to receive the upgrades. Here’s how to get the upgrade for your existing Linode: Log into the Linode Manager and view your Linode’s Dashboard, where you’ll have a new “Upgrade Available” box on the right-hand side. This links to a page describing the upgrade process, which is very simple. Simply click the button and your Linode will enter the Upgrade Queue. While in the queue, your Linode can remain booted. Once it’s your Linode’s turn in the queue, your Linode will be shut down, upgraded, and migrated to another host. The migration will take about 1 minute per GB of disk images. After the migration has completed, your Linode will be returned to its last state (booted or shutdown) – but with the new RAM! Full disclosure: the new plans are $0.05 more expensive per month. We did this to get rid of the legacy $19.95, $39.95, $59.95, etc pricing model in favor of a simpler $20, $40, $60 model. The upgrade is not mandatory, so if you’re not down with the 5 cent increase you can keep your existing resources and pricing. We’ll be enabling the upgrade by data center very soon, with the exception of Fremont which may take another week or two – we’ll be explaining more on Fremont in another post. Check back regularly for updates for your data center. This has been a great couple of weeks for Linode and our customers. We’ve spent millions improving our network, a fleet refresh with new hardware and 8 core Linodes, and now this: doubling your RAM without doubling the price. Enjoy! 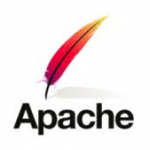 The Apache HTTP Server is a free or open source Web server developed by the Apache Software Foundation (http://www.apache.org/). This post describes the basic steps to setup Apache httpd on CentOS 6.4 64 bit dedicated server to host the website and blog. 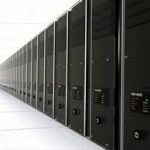 Having dedicated web server, you will get more control and flexibility on the configuration and you does not share its resources with anyone else. With at least 2GB RAM, you will get fairly consistent load times and better speed if compared to shared hosting and virtual private server (VPS). Bloggers or webmasters can get reasonable dedicated server price starting at $139 at very reputable companies such as hostgator. 192.168.2.52 - - [01/Apr/2013:23:14:35 +0800] "GET /index.php?=PHPE9568F34-D428-11d2-A769-00AA001ACF42 HTTP/1.1" 200 2524 "http://192.168.2.62/" "Mozilla/5.0 (Windows NT 5.1; rv:18.0) Gecko/20100101 Firefox/18.0"
192.168.2.52 - - [01/Apr/2013:23:14:35 +0800] "GET /index.php?=PHPE9568F35-D428-11d2-A769-00AA001ACF42 HTTP/1.1" 200 2146 "http://192.168.2.62/" "Mozilla/5.0 (Windows NT 5.1; rv:18.0) Gecko/20100101 Firefox/18.0"
192.168.2.52 - - [01/Apr/2013:23:14:35 +0800] "GET / HTTP/1.1" 200 71412 "-" "Mozilla/5.0 (Windows NT 5.1; rv:18.0) Gecko/20100101 Firefox/18.0"
192.168.2.52 - - [01/Apr/2013:23:14:36 +0800] "GET /favicon.ico HTTP/1.1" 404 209 "-" "Mozilla/5.0 (Windows NT 5.1; rv:18.0) Gecko/20100101 Firefox/18.0"
On the previous post, i have teach you on how to check the memory usage on linux virtual Private Server (VPS) but only top command had provide real-time information and updates . This quick post will covers on how to check realtime RAM memory usage available in Linux VPS using watch command. Watch runs command repeatedly, displaying its output change over time or at regular intervals. Watch will run until interrupted. This command has been tested on Redhat Linux Enterprise 6 (RHEL 6) and may working on CentOS 6.x as well.